If there are unnamed colours in your palette and you want to know if a particular colour was used on the current model or drawing, you can select a colour and it will be used to highlights the parts that use that colour. The rest of the colours are dimmed, so you can easily identify the highlighted colour. You can then rename it accordingly. In the Colour view, select the colour to highlight. 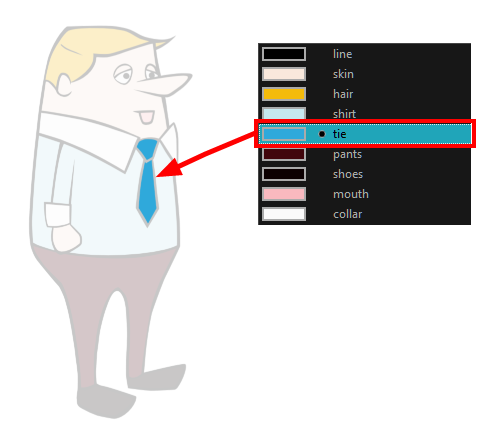 From the Drawing menu, select View > Highlight Selected Colour.